JAN is re-opening this friday in Ueno, Tokyo. The shop is about twice the size of the last shop in horikiri with way better access. there will be a little get together on friday, around 6 pm. JAN closed it’s store in Horiki on Oct.30. some close friends stopped by to share the last moments of the store. of course, JAN is not closing for good. it will re-open in Ueno, Tokyo on Nov. 13. this will probably be the last of the JAN crew sessioning in front of the store, check Kai wheeling in 360 panorama. i went to HUGEST to visit my friend take. HUGEST is a hugeblocks dedicated store. hugeblocks sponsors me for my skateboarding and fixed gear bike. while i was there, i got to shoot a panorama view of the store. check it out, it’s pretty cool. take supported me with their 2009 f/w line goods. 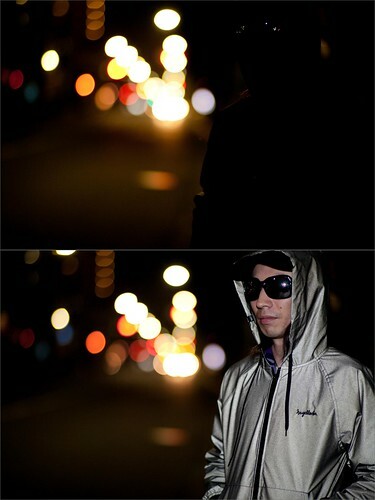 one of the killer item is their new "THE【NIGHT RIDER】 BLACKreflector" jacket. it’s outer is 100% reflective material. CHARI&CO NYC has them available online. it has a super nice silhouette. this jacket is a collab item with a skateboard company called manik.